​Teri has been an active member in the development of The Unicorn Children's Foundation. She served as Auction Chairman for the inaugural gala in 1999. 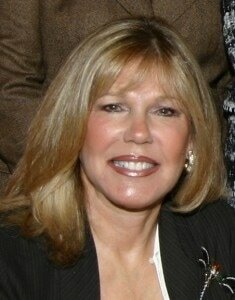 In 2000, Teri was a Gala Co-Chair and became a Gala Chair in 2001 and 2003. As an avid supporter, she continues her involvement because of her strong feelings about the UCF goals, work and achievements she helped to bring about. Teri also became a founding board member and continues to sit on the board of UCF. Teri is also affiliated with the Boca Raton Museum of Art, Sylvester Comprehensive Care Center, and the Les Dames D'Aspen. She is originally from Montreal and moved to Miami in 1972 with her family. While Teri was raising her three children, Tammie, David, and Michael, she became a member of the Miami Ballet Society and the Mount Sinai Hospital Young Presidents Club. During the time she was active at YPC, Teri served as social chairman for four years and board member. Her interests are art, music, skiing, golf, travel, playing duplicate bridge, and most of all she enjoys her family, her love, Larry Witte and her friends. In 1996, Teri moved to Boca Raton to share life with Larry. While they spend the most of the year here, they also look forward to leisure time at their Aspen home.